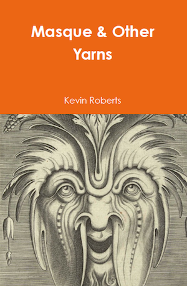 Releasing thru 2018 - it's Kevin Roberts' collection of Short Stories ..his Yarns. Lions... Check this LINK...for a Review. Thanks for an amazing decade of book-running. Kevin Roberts has a new Book - ready for a Summer Launch. Summer - 2019. Almost here! Michael Kanaly's new Book - is ready for a Fall Launch. As well, last summer, Vancouver Island University presented an Outstanding Service Award to retired VIU English professor Dr. Kevin Roberts. We're proud to have Kevin's Books at PHP. Kevin has a new Chapbook, "Foot Prints" released last summer with another publisher. PHP writers are found in a number of other places - as it needs to be. Michael Kanaly - is now focusing on his new writing - Lucky Readers. If you want an insight about his other work...we suggest reading his hard-hitting "Room One"
Releases from Kevin and from Michael. Both Michael Kanaly, who lives in New York State, and Kevin Roberts, who comes to Canada via Australia, reflect an international approach which will expand even more. They've brought some of their books to the 2007 full-launch of a press that keeps transmuting with the times. Continue to look for releases year-round and not just in publishing 'seasons'. However, Caren and I have now stepped back from running PHP. Pilot Hill Press is now with its writers, and they'll be letting us all know exactly how they go.. In this age we all combine forces - a group of people want to get great books to great readers. Each of our publications was chosen to become a gathering point a flash of light caught in a net of words. Readers love the heft of a book; the way it fits in a pocket or a backpack. We all imagine the look of books on window ledges of small cabins; in high rise buildings, on buses, on subways. May these books be carried around the world like lanterns - each holding a necessary spark. 2019 is the year of necessary changes in the Press.
."We're so thankful to Kevin and Michael for allowing us to publish them when we started the Press. We're not only thankful, but very curious to see the direction the Press will now take. The publisher is, in a vital way, only an off-shoot of the writers who gather - the writers are not created and given life by those who publish. When you read PHP authors - you are reading their work - for our authors always have the last word. We had no meta-system that informed the writers of anything. The writers informed us." Caren and Bill have now formed New Found Land press - where Newfoundland writers are releasing books. There's a link to that press on our site. And we'll continue to release the books that both Caren & I find & create. We'll be doing that now through our on-going Gull Pond Books. ...Lived up to its title. Michael brings us, with searing honesty, what people said & what people did, when the world was harsh, and the people were all wounded - even when the shots missed. No holds barred; nothing censored by times tinted-glasses, in this book, people speak and act as people did in those harsh days. It hurts while it lives. The words, the actions, the events, all spill into the world as they would have, & as they did. The ending will stay with you long after this book is read.